Joseph Edward published his hour long January 24, 2018 interview with Robert Baty regarding the Baby Holm Case, which I have linked here. In and of itself, the Baby Holm Case has no great import, when one considers the many cases which various state Child Protective Services personnel routinely encounter. What is of interest in this matter is that Sovereign Citizen Movement, anti-government and anti-CPS groups have been using this case to gather supporters, by promoting a false story which undermines the evidential and judicial aspects of this case. Robert Baty, among others, has sought to counter those falsehoods with real evidence and logical arguments. Joseph Edward, the Interviewer in this audio, is thirteen years old, a young man who attempted to take on the “structuring” proposition which Robert Baty, a former IRS Appeals Officer, had dared Kent Hovind or his “champions” to openly debate. There is a 50 year difference in the ages between Joseph Edward and Robert Baty, which makes it an uneven debate match. However, Joseph displays an intelligent mind, and I am hoping that once he enters into those areas of life’s responsibilities which force a different real world type of knowledge and wisdom on us, he will one day prove a good debater. That said, all Christians need to observe that rule laid out in the Bible about not respecting persons and about becoming impartial judges. If it is truth we are after, how one searches out evidence and the meaning of laws, rules and regulations is important in the application of judgment and justice. Joseph Edward also became interested in that side branch of the Kent Hovind Story, which is under discussion at Robert Baty’s FaceBook group called Understanding the Baby Holm Case. As a result, he interviewed Baty on January 24, 2018, posting his audio to his YouTube channel. The purpose of this closed group Facebook discussion of Baby Holm is to “provide a more open and honest environment in which to present information about the child custody case which has been developing in Alabama since October 2016.” And I think that Joseph Edward accomplished a good interview with Baty. Brady Bynum is also friends with Ernest Land and Kent Hovind, which I had been writing about. And here at Tracking the Leopard Meroz, I have been taking a closer look at those Christian Alternative Media radio hosts, who have subtly promoted sovereign citizen movement legal theories, via the guests which they exalt before their large audiences. 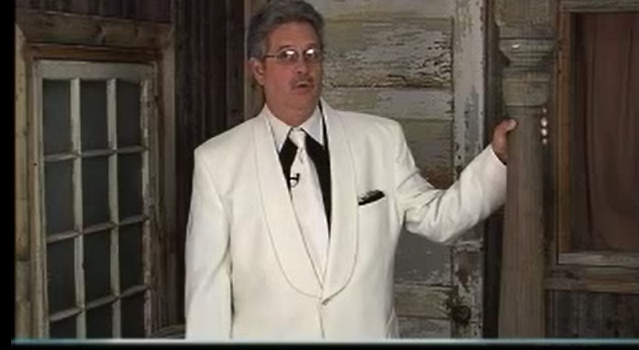 Ernest Land AKA DOC FOG, Director of Circulation for the Favor of God. This moniker was created when Ernest Land was a DJ on a Christian radio station. This past month I have been reading through Robert Baty’s website at kehvrlb.com which he has titled, Kent Hovind v. Robert Baty-The Great Debates! Kent Hovind’s False Legal Narrative challenged! What I find interesting about Baty’s blog, and also that of Deana Holmes of Hovindology.com and Peter J. Reilly’s Your Tax Matters Partner: ytmp.blogspot.com, is that every single question I have asked about Kent Hovind’s legal problems has been addressed by these three “reprovers in the gate”. What is unsettling about their reproving, is that by identifying what the key evidence and laws were which led to the conviction and incarceration of Kent Hovind, they have also been exposing what is wrong with present day commercialized Churchianity. Over the years many pastors had rightfully turned away from Kent Hovind because of his tax fraud; yet most did so quietly, when what was needed was a public rebuke of the multi-faceted false doctrines which undergird the Hovind ministry. The “reprovers in the gate” who have spoken rightly about the Hovind case have come under fire from a multitude of Hovind supporters who display a stubborn unity in refusing to discuss even the most elementary laws and evidence of this case. In addition, I have observed that many vile words, lies and threats have been spoken by Hovind’s friends against those who attempt to have a reasonable and rational discussion. This ought not to be the case in a free society. And it is inexcusable for someone who professes to be a Christian to resort to making threats when they are unable to advance their argument, because the facts and evidence prove that they are in the wrong. The facts of Kent Hovind’s breaking of criminal and civil laws cannot, and should not be glossed over by the unproved assertions that “souls were saved”. It has been shown time and again that many persons who profess to be saved, later reveal by their actions that those words were said in a moment of emotional fervor, and were not stated with genuine sincerity and deliberation. 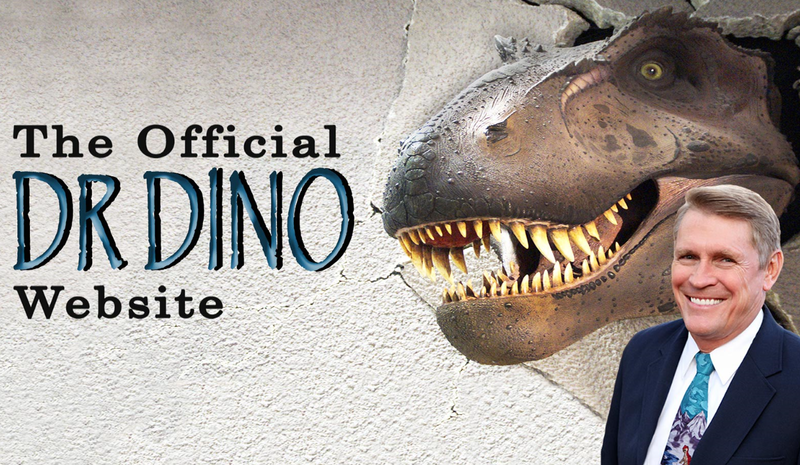 Ernest Land is presently the incorporator and a director of Creation Science Evangelism Ministries, Inc., registered in Alabama, where Kent Hovind is rebuilding anew another Dinosaur Adventure Land. 2006 must have been a notable year, for 3 major events affecting the major players in the Inner Circle of Kent Hovind took place. The first event was alluded to in a letter from Kent Hovind to his son Eric (noted by Peter J. Reilly in his blog), where Hovind protested, “I trusted you with all the CSE assets in 2006 and simply asked for them back when I got out of prison 1 year ago. You now use lots of smoke and mirrors to not do that…”. 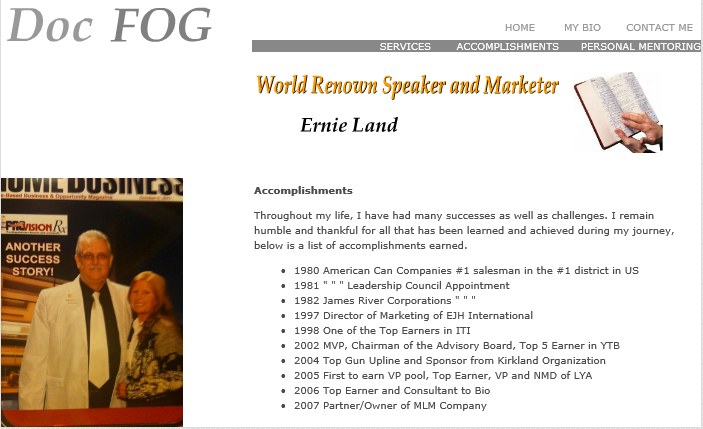 The second event is noted by Ernie Land that he was the Top Earner and Consultant to Bio. And the third event, which may have been the primary reason Ernie Land now has a reputation as a World Renown Speaker and Marketer, is that on May 30, 2006 the Texas Attorney General issued a temporary injunction against Lowell Mims and Gustavo Romero and BioPerformance, Inc. This began the legal proceedings which resulted in this company having to pay out millions to consumers of their fraudulent product. 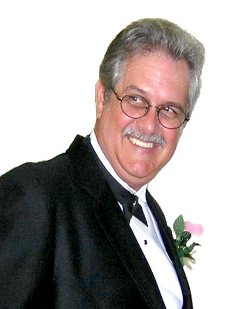 Lowell Mims has a religious front as a “church growth” evangelist, and he is the founder of MLM companies which Ernest Land has partnered with, such as ProvisionRX Inc.
As we saw in Ernie Land’s bio, he had once been involved in Amway, a religious based MLM. The Dallas Observer article notes, “Craig Lunde, a disgruntled BioPerformance member from California, says that Mims was a minister (who) influenced him to join. ‘Everyone seems to be so sincere and so honest and so Christian and so decent, I went with that’, Lunde says. The Dallas distributor who did not want his name used also bought into the image of a Christian company. ‘I’m really upset that someone who claims to be a preacher has done what he has done,’ he says. Many of his recruits were members of his church, and he had planned to use the money he made to finance the church’s Web site. Instead, he using it to pay his downlines back”. In that regard, Bioperformance offered a product in pill form that when added to the gas tank, was touted to increase the car’s performance. There were so many complaints to the Texas AG’s office, that they were forced to issue an injunction and then they took this company to court, after having the product tested in a lab. 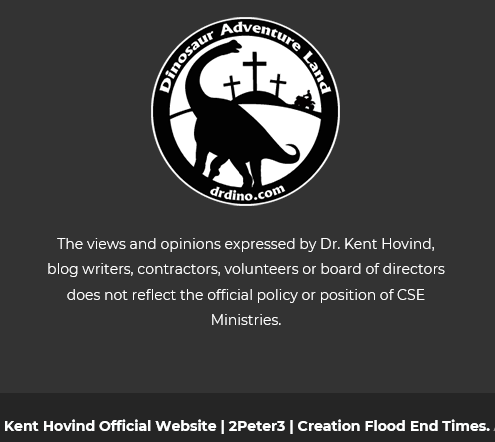 As the founder of Creation Science Evangelism (CSE), in his post prison days, Kent Hovind still retains his status of chief fundraiser; yet his very words and that of the board of directors are Officially Disclaimed as a matter of policy by CSE. Is this strategy the hand of God, or the Hand of Ernest Land? In 1989 Kent Hovind established Creation Science Evangelism (CSE), and in 2001, set up his Dinosaur Adventure Land theme park in the backyard of his Pensacola, Florida home. Having been found guilty of tax fraud, Hovind was at last released from prison in 2015, after serving almost 9 years. He returned home to Florida to face insurmountable family problems. This untenable situation was remedied when Kent Hovind moved to Conecuh county, Alabama to live out his vow of poverty on three adjoining tax free 40+ acre parcels of land worth over $500,000. Slowly this new tax free Dinocracy is establishing itself…. Robert Baty had shared this Conecuh, AL parcel details on his Facebook group site “Kent Hovind’s Worst Nightmare!”. It was only five months ago on July 24, 2017 that Creation Science Evangelism Ministries, Inc. was registered as a Domestic Non-Profit Corporation with the Alabama Secretary of State and assigned an entity ID number 397-041. The principal address is 488 Pearl Lane, Repton, Al 36475 which features a brontosaurus duo on the gate.The nature of this business was stated to be exclusively for charitable, religious, educational, and scientific purposes. A six page document dated July 26, 2017 titled the Certificate of Formation was filed with Alabama, which I have not read in all its details, as I was unwilling to pay for it. However, of note is that five persons presently hold official titles; none of which are Kent Hovind, the original founder of the ministry bearing CSE name. Ernest Land is both the Incorporator and a Director. Diane Hummel is the Registered Agent and a Director. Cody Land, who appears to be related to Ernest Land, is named a Director, along with J. Russell Hughes of Rose City, MI, and Bill Sardi of La Verne, CA. Just a year and a half earlier, on February 23, 2016, the Florida Secretary of State had registered Creation Science Evangelism Ministries, Inc. as a Domestic Non-Profit (N16000002289) having a FEI/EIN Number 81-1424226, and presently we see the same persons are named as described in the Alabama corporation registration. Florida does not charge for reviewing the Certificate of Incorporation, and so I was able to note that initially there was another person involved: Theodore Valenzuela of 29 Cummings Road, Pensacola, FL 32464, had been appointed as Secretary. The address used for Valenzuela was one of Kent Hovind’s Florida properties involved in the tax fraud disputes. When Hovind later moved to the Alabama location to begin anew another Dinosaur Adventure Land, Valenzuela followed, living in one of the bunk houses there. He has since departed from Kent’s CONpound. So if a so-called Christian ministry such as CSEM does not trust the communications of the founder and it’s board of directors, why should anyone else? And where do we discover what the official policy or position of CSE Ministries is, if not through the communications of its board of directors and officers? Oh wait, didn’t I say earlier that every question I ask about the Kent Hovind story has been answered by at least one of the Three Reprovers in The Gate? Sure enough, Peter J. Reilly on July 1, 2016 in an article, Kent Hovind & Ernie Land-Scheming as Usual, quotes CSEM as saying, They will help oversee the ministry in the spirit of transparency and showing itself to be approved by others. CSEM (Creation Science Evangelism Ministries) believe it is important for ministries that rely on donations to be completely transparent about its objectives, goals and use of funds toward those ends. Any designated funds donated will be applied to those projects or expenses designated, and will only be placed into other projects or other ministry expenses, after consultation and agreement with the donor. I can see right through you CSEM; I see your motives and methods, but does that mean you are “transparent” in the good sense of the word? Ernie Land replied, Our contracts are US Constitution article 1 section 10 private contracts. They will remain private and should the IRS attack again then a snare is in place to throw it into International Court. All are signed “Without Prejudice UCC 1-308”. I like the term patriot, but actually adhere more to being a Constitutionalist. As you know from my $6mil lawsuit brought against me personally and my company by the FTC, I will use the International Court, and as in that case, the Federal Court seals everything, while removing me from the suit. Hey, maybe that experience is why I believe so adamantly in Conspiracy by the elites in Government. They seal documents, or hide them like Hillary’s emails, in most of the cases they lose or should I say the 1% they lose. Pretty good game the play. I guess they learned from the Harlem Globe Trotters. The above statement by Ernest Land, which I have added some bolding to emphasize two phrases, is interesting in that Ernest Land boasts of laying a legal snare to escape accountability and he also mentions that for some reason the Federal Trade Commission was unhappy with him. DrDino.com presents its Mission Statement with redundant first and last sentences, saying, Our mission is to tell the world about the Good News of Freedom in Jesus Christ and the Truth about his Amazing Creation, utilizing simple scientific explanations targeting children, about the handiwork of God who created them in His Image, contrary to the Darwinian explanation of the origins of man. The Word of God is True! But you may not know the evidence that supports the Word of God and shows the public school taught evolution (of Darwin) nothing more than an imagined idea. We therefore have the mission from God of Telling the world about the Freedom in Jesus Christ and the Truth about His Amazing Creation. The first and the last sentences are redundant, but at this point, so what? Do you sincerely believe that this is a genuine Christian ministry? Ernest Land counseled BPI to take two contradictory measures, which we see in place at CSEM. The first was to obtain sworn affidavits to verify claims the product works. What is the product of CSEM? Why Kent Hovind, of course. In prior posts I mentioned the names of a number of supporters of Kent Hovind who proclaimed him a persecuted Christian martyr because of the stand he has taken as a world renowned expert on the Creation/Evolution debate. These professions of support back in 2015 through online videos made by the Christian Alternative Media are as good as a sworn affidavit that “the product works”. The second measure which contradicts the first, is in accordance with Ernest Land’s counsel to “disclaim everything”, and that was done on the Dr. Dino official website. What about those three pesky Reprovers at the Gate of the old and new Dinosaur Adventure Land? Does Ernest Land really have the legal and financial wherewithal to ensnare them in one of his traps? Nah, when push comes to shove, poor Kent Hovind may be forced to take the fall once again for not having the gumption to free himself from the legal counsel of Ernie Land, Glen Stoll, and others of ill-repute. What does one put into a petri dish to create a clone of The Interpreter of the Mysteries who has condescended to come down to us in human form? I can’t recall ever hearing about Kent Hovind before this month. But when the Hagmann, Quayle, Zilinksy, former Prophecy Club speakers started fussing over the martyrdom of a man who calls himself Dr. Dino, I decided to take a second look. Yesterday I listened to Dr. Scott Johnson of Contending for the Truth, formerly a Prophecy Club speaker, lament the travesty of injustice done against Kent Hovind. He describes him as a humble man who has brought many to salvation, who will greatly be rewarded in heaven. 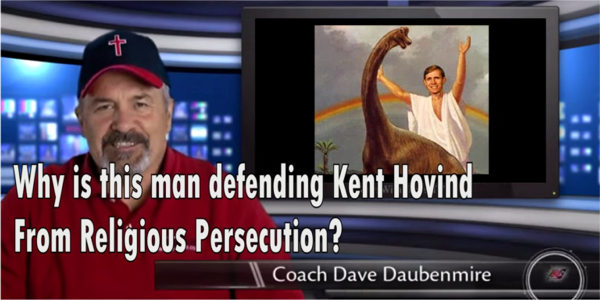 Now Coach Dave Daubenmire has entered the fray, suggesting that Hovind should be tried by a jury of his peers, i.e. Christians who believe in creation, and not evolution. Well, put me on that jury! I am a King James Bible Believer and once held membership in an independent fundamentalist Baptist church, etc. etc. etc. When I first heard the laments about Hovind’s tax judgments, I found the claims that he is being persecuted for his creation views to be dubious, and thought that if anyone was persecuting him, there must be a deeper reason. Well, I listened further to the things said on his behalf, and decided to search the internet for clues to this mysterious martyr of the faith, and found loads of information from friends and foes alike. In short, Kent Hovind is a tax fraud, pure and simple, and deserving of a prison sentence. However, he seems to regard himself as The Interpreter of the Mysteries, come down in human form, and therefore he is above all those laws imposed on us mere mortals, whether it be tax laws, building permits, or what have you. Hovind has been praised for taking a vow of poverty, which me thinks that this is a vow which is easy to keep while in prison. But if you read the Wikipedia article on Kent Hovind note the amount of money he had made in one year on dinosaur/creation merchandise! The fact that his supporters have misrepresented the facts of his case, causes me to understand the depth of their own depravity a little better. I am most disappointed that Dr. Scott Johnson has gone down to Pensacola in support of Kent Hovind, as I rather like Johnson as a person. But this action of his causes me to wonder if he is suffering from strong delusion, and not deserving of his “calling” as another Watchman on the wall. When the atheists on the web can quote the correct scriptures as a rebuttal to Kent Hovind’s fraudulent character, then it is time to back up, and have a second look. I trust no one, especially one who claims to be a Christian, who obtains his degrees from unaccredited colleges. Why this need to be referred to as a Doctor? What does Dr. Dino think 2 Timothy 2:15 means when it commands, “Study to show thyself approved unto God, a workman that needeth not to be ashamed, rightly dividing the word of truth. But shun profane and vain babblings: for they will increase unto more ungodliness.” Does Hovind think that God approves of a lazy evangelist who has to fake his way through his “calling” as a “creation science evangelist”? What scriptures even back up such an approach to evangelism? Hovind made a great amount of money selling merchandise in connection with his dinosaur business, and apparently never filed a tax return. One critic of Hovind’s Dinosaur exhibit said it was shabby, shabby, shabby. Could Dr. Dino’s theme park not even get one compliment such as “Shabby Chic“? I once was a member of an independent fundamentalist church, and attended three others, and I am very familiar with their doctrine. I grew tired of preachers who refused to preach the whole counsel of God, and so I sought it elsewhere. While some persons who investigated Kent Hovind were unable to get a copy of his doctoral dissertation, I found a copy at www.wistorage.net/file/kent-hovind-dissertation. It is a peculiar read, as if he had taken several years of sermon notes scrawled on the back of church worship guides, and threw them into his thesis. Now Hovind’s dissertation is a bit odd, as I cannot locate an actual clear thesis statement, one which identifies his “claim” followed by a “because” statement of reason. Precision seems to a feature of evidence which is lacking in Hovind’s thesis, as well as in his speech and other writings. We must understand that a thesis is a statement or argument, supported by evidence, which should be convincing to a critical reader. Why not a thesis statement such as, “The theories of evolution are unsupportable by scientific research, because evolution was in fact created as a justification for worshiping the creature, rather than the Creator”? But no, to muddy the waters further, Hovind continues on, “I only ask that you realistically look at the ideas presented and ask yourself the simple question, ‘Does this key open the lock, does this answer the question?’ If it does–it just might be right.” It just might be right? When you introduce the “Uncertainty Principle” into your “thesis”, how can I be convinced by anything you say? How about clarifying what your dissertation is asserting? How about having a conclusion based on evidence, which the reader can grasp? Shouldn’t a dissertation contain a few footnotes, and maybe some source quotes from the evolutionists themselves? Lazy, lazy, lazy. The closest you will get me to calling you “Doctor”, is the caricature you have given of yourself as Dr. Dino. Or is that Dr. Dunno? Kent Hovind and his most famous supporters seem to be all merchandisers, supposing that gain is godliness. Thus from such clones of the Interpreter of the Mysteries, to whom we are supposed to bow the knee, I withdraw myself.